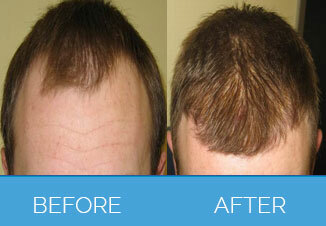 The relevance and significance of Hair Transplant is time-tested and approved by many reputed councils of cosmetology and reconstructive surgery. This treatment option is considered for the purpose of rejuvenating or reviving the diminishing potential of the head scalp to produce hair in a desired fashion. You can opt from two different types of Hair Transplant Procedures recommended at our Sheffield Clinic which has special focus on transplant based treatments in the area of hair growth, care and management. It is our objective to help you realize the goodness of cosmetic advancements as the recent developments have made the processes like Hair Transplant more viable, comfortable and sophisticated. You can seek more information from our experts about FUT and FUE Transplants, the two common types of restorative hair treatments we offer. You are always given an option to choose and help yourself with therapy customizations as well. 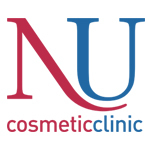 Nu Cosmetic Clinic is a pioneer and leader in redefining care and management with an exclusive focus on cosmetic options of treatment. 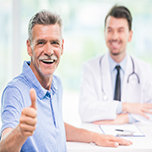 We do believe in facilitating various treatment options and solutions in a much targeted manner after duly classifying them based on the procedure specifications and nature of services we cater to our patients. In line with this commitment, our focus pertaining to Hair Transplant is completely exclusive and with an objective to execute solutions that induce permanent change which is positive and desirable too. Though we may count it on our fortunes to continue to feature on the top listed ratings in the arena of cosmetic treatments, especially the Hair Transplant Treatments, the truth behind these ratings is nothing but passionate work ethic. We constantly upgrade our facilities and treatment framework to match up with the international standards along with desire to maximize comforts for every patient who believes in the positive effect of Transplant and associated cosmetic solutions. These online ratings are based on the expert reviews and opinions considering some of the contributing factors like standard of care and transplant experts we engage in our Sheffield Clinic. We leave no stone unturned when we attend to your concerns; our team’s commitment is at display in every phase of treatment and consultation with a purpose to facilitate solutions that really matter for you. 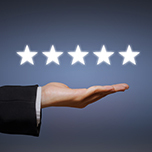 Such dedication has often been paying us better dividends in the form of highly motivating patient testimonials. Those who experience positive change after Hair Transplant Surgery at our Sheffield Clinic share their joy and happiness by exchanging inspiring communications which are motivating to other enthusiasts who want to consider transplant therapies to rejuvenate themselves. Our cosmetic surgery specialists and experts are our primary strength. You will be pleased to meet and interact with Mr.Gabriele Borghini, our plastic surgery expert at Sheffield Clinic. Besides his technical expertise and caliber to perform complex procedures, his soaring popularity is attributed to his elegant attitude that makes every patient feel comfortable even as their queries and concerns are promptly addressed. Our clinic is operational between 9:00 and 17:30, Monday to Friday. For your convenience and to address emergencies, we are also available on weekends and during late weekdays. Our cosmetic clinic can be found at the center of Sheffield Medical District, situated at 24 Wilkinson Street, Broomhall. Do avail free car parking from the eighteen car parking spaces meant for patients visiting our clinic. The interior clinical set up is inspiring and elegant, comparable to any contemporary cosmetic care center. BOOK YOUR FREE CONSULTATION WITH A REFERRED EXPERT Today! Fill in your details below and we will send you a brochure on your selected areas of interest.